Laurie Graham wouldn’t have been a bit surprised at Prince Harry’s flaunting the royal willie in Miami. 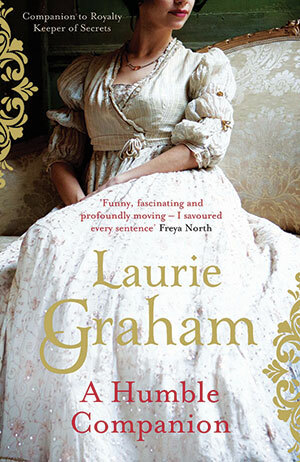 Her novel is a keyhole view of mostly unseemly doings of the House of Hanover during Britain’s Regency and, if Graham is to be believed, free willie would have been the least of their highnesses’ concerns in the 1830s. It was the eve of dramatic social change in Europe. She tells a wondrously gossipy tale, peppered by wry, lower-middle-class censure of aristocratic excesses. It is, of course, very naughty to be fascinated by wickedness in high places. But the hour is not yet come when humanity will abandon voyeurism for more worthy occupations. Not while the ghastly rites of celeb worship flourish, anyway. 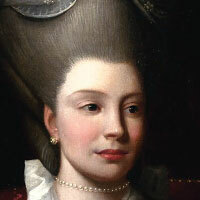 The doings of the 15 offspring of George III and Snuffy Charlotte, his Queen, were certainly often decadent and peculiar, judging by these plausible revelations. Nevertheless, a degree of judgment is needed in assessing the whispers and weirdnesses, since fascination with the domestic details of celebrities is rarely conducive to understanding motive and the exigencies of high office. Be that as it may, the depiction of lives withered by ceremonial constraints has its interest. Living luxuriously is all very well, but being constantly on display is clearly not much fun. 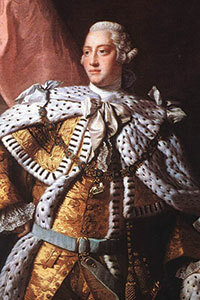 The novel presents a small army of princelings trying desperately to amuse themselves with horses, lust and gambling while the old king slides in and out of the delusionary states so dramatically depicted in the film The Madness of King George. The princesses are kept in purdah, remaining unwed because protocol decrees that they must marry in order of seniority. but the eldest is a humiliated frump, scorned by eligible nobility. So all seven sisters while away the years, in surprisingly modest circumstances, till eventually the Princess Royal finds a husband and becomes Queen of Württemburg. Laurie Graham’s cunning device, in employing an individual from another world to comment on the curious lives of her betters, is effective. 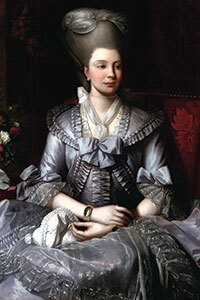 Particularly when the young companion Nellie, daughter of a royal steward, is first introduced to Princess Sofy. The two girls, on the verge of womanhood, become friends. The Humble Companion, living mostly beyond the cloister walls, is aware of the looming crisis that became the French revolution, and of the excitements of the industrial revolution. In the chilly rooms of the palaces, the waiting princesses can have no comprehension of that changing world. The stultifying court life of the period, stagnated by the king’s mental instability, is appalling. There’s no hint of the marital cosiness shown in the film. Instead, there is a fiercely protective old queen trundling her demented spouse from spa to spa in hopes of a cure, with enormous wagon trains of goods and attendants floundering behind. Nellie who is summoned from time to time to cheer Sofy, grows to maturity with a shrewd idea of the world and its often cruel ways, while the princess fades into genteel isolation. Laurie Graham depicts the Prince Regent as vain, selfish and unreliable. History says that he amassed an extraordinarily fine art collection. Poor old George III admired and supported the great architects of his time. Perhaps the true nature of the royalties – George III, IV and William IV, who figured before Victoria set her stern example – lies somewhere between the talented but censorious author and the social historians. One thing is certain: all the paparazzi and electronic spies in the world will not tempt the incumbent British monarch to yield one millimetre of her individual privacy. No go, Nellie. Try Harry.